Recently, we were listed among Clutch’s top Atlanta digital agencies and custom software firms. Last week, the market research company included us in its list of Top 10 Atlanta UX Agencies for our focus on building exceptional digital products guided by deep customer insights. Clutch’s research highlighted 352’s strong ability to deliver engaging user insights across its early stage innovation work, digital product development builds, and customer-acquisition focused marketing campaigns. 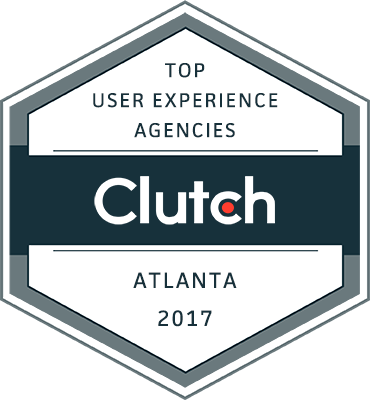 We’re proud to be included on Clutch’s list of 2017 Best User Experience Agencies in Atlanta, and we’re excited to see where the next year takes us. Geoff Wilson is a tech entrepreneur, investor and mentor who found his passion for business at an early age. After starting a successful computer store in high school, Geoff began building websites in his college fraternity house and Three Five Two was born. 20 years later, his innovation and growth firm has grown to more than 60 employees with offices in Atlanta, Tampa and Gainesville.